Good honest Rock N' Roll that makes you wanna' Boogie down son! 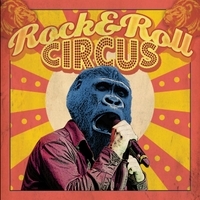 At last the Vancouver/Seattle based Blues-Rock band Rock N’ Roll Circus are finally set to unleash their debut album upon an eager group of fans both old and new. After grinding out this full length album in the underbelly of a modest Burnaby bungalow fueled by expensive beer and cheap pizza, Rock N’ Roll Circus are set to release twelve boogie till you drop tracks inspired by the likes of…The Faces, The Rolling Stones, Black Crowes, The Allman Brothers Band, Neil Young, and a list that goes on and on. Rock N’ Roll Circus are: Jeremy Holmes, Johnny Oulton, Liam MacDonald, Aaron Moser, Scott Smith, and Christopher Woudstra.